This is a special guest blog post from Azamara partner Ann Tran. My next adventure with Azamara is cruising through Asia in late March, and on my flight to Malaysia Social Media Week 2016, I had a lot of quiet time to reflect. I was feeling extremely grateful for getting an early start in the social media landscape and sticking to my path. There were times where I had doubts making a complete career shift from a very secure corporate job and transitioning into a new world of being a social media consultant, travel writer, and speaker. It hasn't been easy, but it’s proved to be possible—when you work hard and believe in your passion. And you can do it too! If you lack the skill set to catapult your career right now, then look into hiring an editor, working with a pitch coach, or taking a photography course. These will help you rise to the top in a sea of social media noise. And speaking of social media, it was Jean Newman Glock who introduced me to Azamara Club Cruises. Thank you so much, Jean! I am forever grateful to you for the opportunity. My first time to Asia was last year, and I managed to get a little taste of each region. And although I tend to enjoy repeat travel to Europe, I find that cruising with Azamara has opened my eyes and desires to explore our world even more. When I have a break in my travel schedule, I thirst for adventure and want to jump on a plane to explore the world further with Azamara. I decided to take their 13-Night Asian Cities and Waters Voyage this Spring. The voyage calls on Osaka, Hiroshima, Shanghai, Hong Kong and Singapore. I'm extremely excited to be cruising with my family away from home, the Azamara crew, ‪starting on March 17th. This is a special trip for me, as this is my journey back to my birth country of Vietnam. I hope you will join and follow me as I cruise through Asia. Thank you for joining me virtually and please share your own bucket list of travel destinations with me in the comments below. Cheers to you and your many adventures! Are you intrigued by Ann's upcoming Asia cruise? 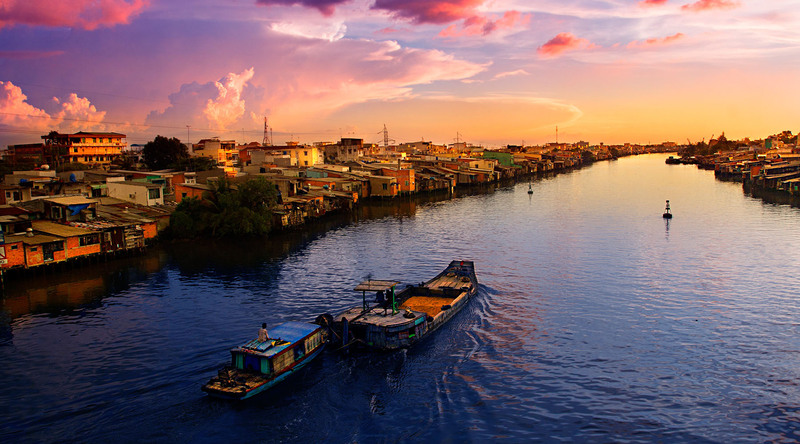 Browse all of our upcoming Asian itineraries here.